A group of researchers at the Brigham and Women’s Hospital in Boston, Massachusetts is shedding even more light on a common bedtime habit that could have serious health effects. 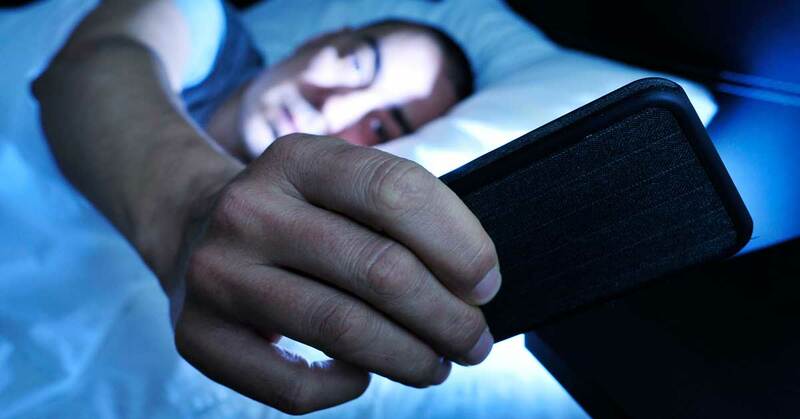 Dr. Anne-Marie Chang, an associate neuroscientist in BWH’s Division of Sleep and Circadian Disorders who was a co-author on the study, says that staring at a screen like an eReader, laptop, smartphone, or certain TVs before you go to bed is extremely detrimental to your sleep cycle. The recent BWH study involved 12 participants who read on an iPad every night for 4 hours for 5 days straight and then repeated the process with a printed book for 5 days. For some of the participants, the order was reversed, but the findings were still the same. The iPad readers took longer to fall asleep and had shorter REM sleep cycles, which is the best sleep for your brain. The iPad readers also secreted less melatonin and felt more tired the following day, even after a full eight hours of sleep. So why is not getting enough sleep so bad for you? According to Dr. Chan, not getting enough good, quality sleep has been linked health problems like obesity, diabetes, and cardiovascular disease. Chronic suppression of melatonin has also been associated with increased risk of certain cancers. So, in essence, not getting enough sleep can kill you (albeit, slowly).